This September 10 2014 was another anniversary of my last supervised visitation with you girls. This year, I will not be lashing out at Manhattan Family Court or at Comprehensive Family Services. Instead, I am going to reintroduce you to my goddaughter, Hélène. 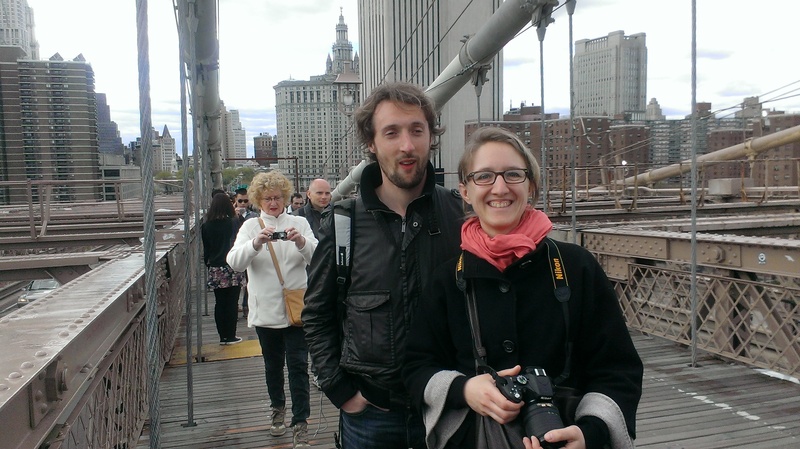 Hélène, the daughter of my sister Marie and one of your five French first cousins, was in New York from April 24 to May 1st of this year. She wrote a card to each of you to tell you she wanted to see you. She did not receive any answer from you, perhaps because you were never handed her cards. In case, let me reintroduce you to her. She came to New York with her fiancé, Thomas. They made this trip to New York to celebrate Thomas’ mum birthday. Hélène is a judge and Thomas a bass at Strasbourg Philharmonic Orchestra . We had a really nice time together and would have liked to see you.